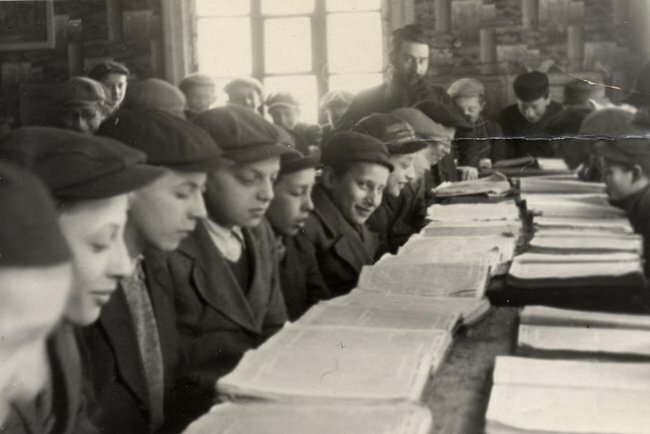 YIVO’s Polish Jewish Archive is the only American collection, and one of very few worldwide, which was saved from the destruction of the Holocaust. 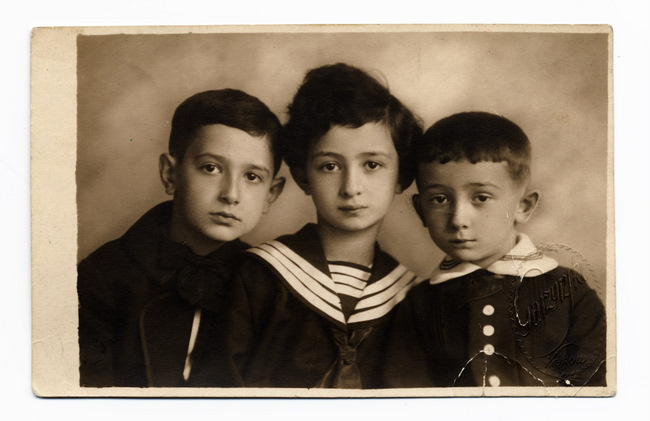 Portrait of three children of the Stern family. Kraków, 1920. 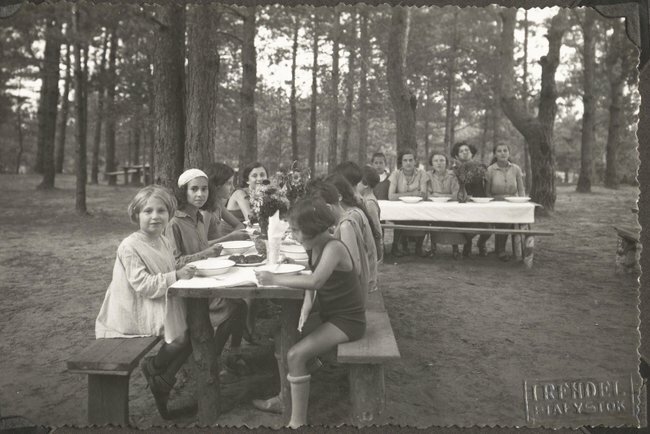 Portrait of youngsters outdoors at a summer camp run by the Bialystok TOZ-OZE. Jaroszowka, 1930s. Boys studying in a heder. 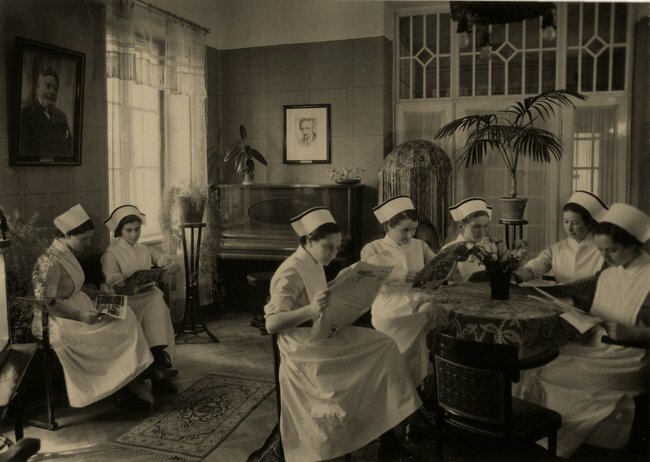 Kamionka Strumilowa, 1920s. 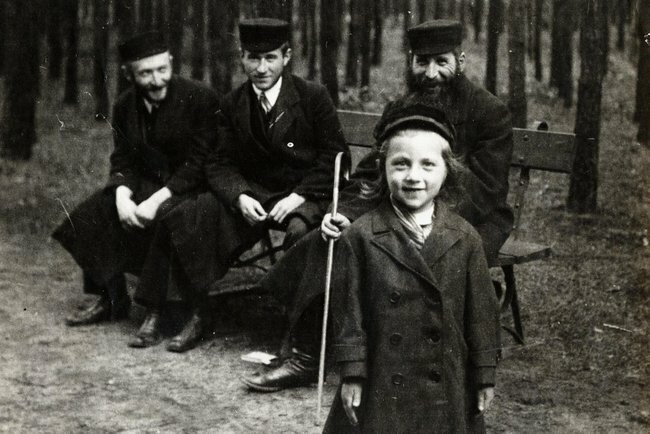 Young heir to the Rebbe of Aleksander at a resort. 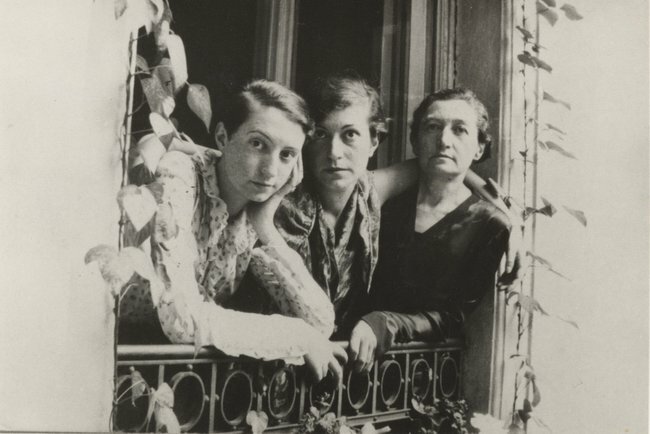 Ciechocinek, 1926. 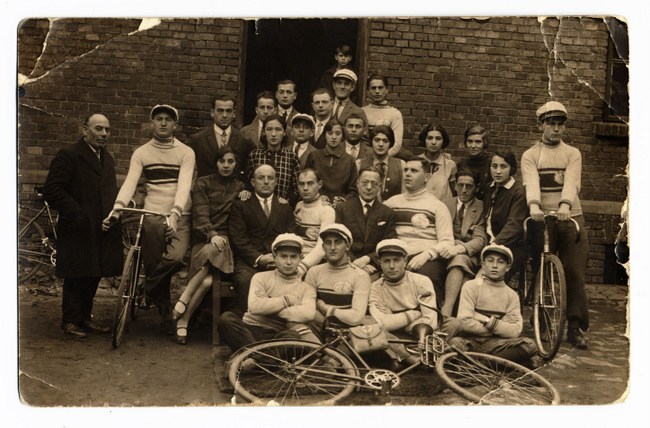 Members of the Jewish Sports Club's bicycle team. Czestochowa, 1928. 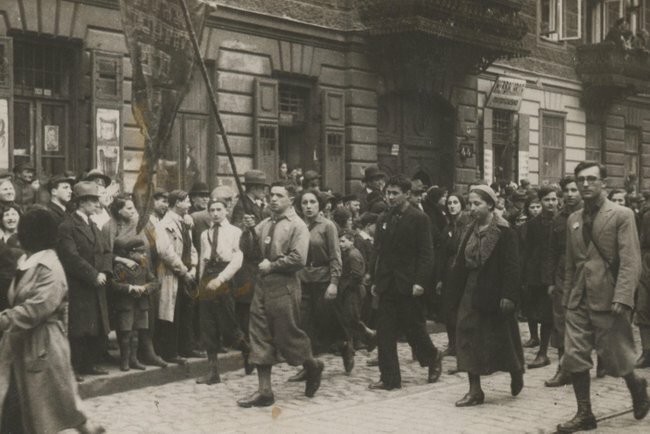 Members of the Jewish Socialist Bund and workers marching in a May Day demonstration. Warsaw, 1930s. 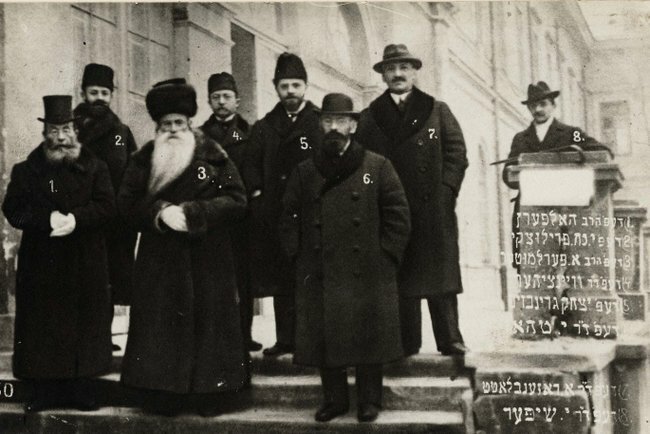 Group portrait of 8 of the 13 Jewish representatives in the 1st Polish Parliament. Warsaw, 1919. 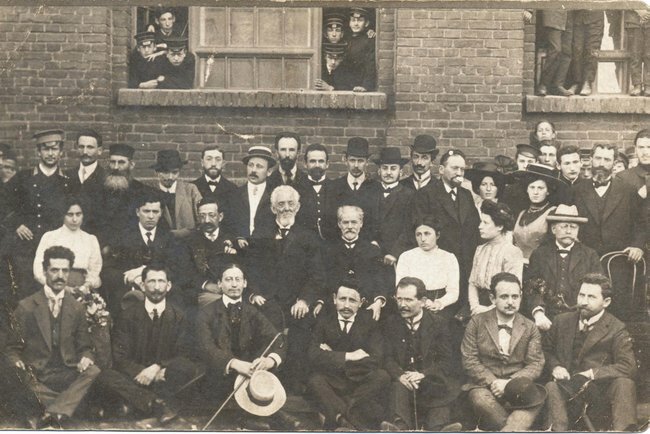 Yiddish writer Mendele Moykher Sforim with Jacob Dinesohn, Dovid Frischmann and teachers of the Jaroczinski Trade School. Lodz, 1909. 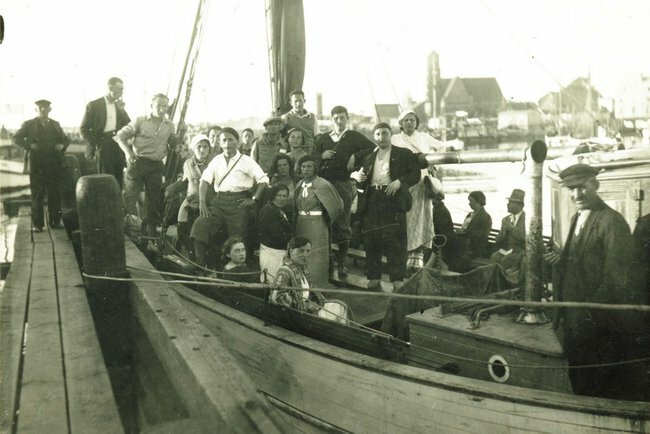 Members of the Morgnshtern sports club with the crew during a sailing trip from Warsaw to Gdynia. 1934. 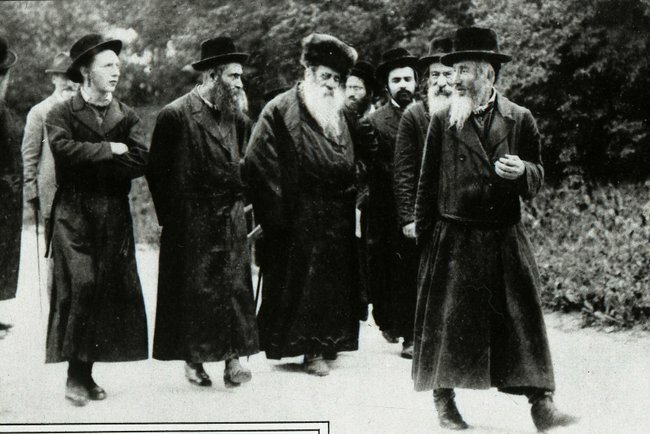 The Belzer rebbe out for a walk with Hasidim. Marienbad, 1924. 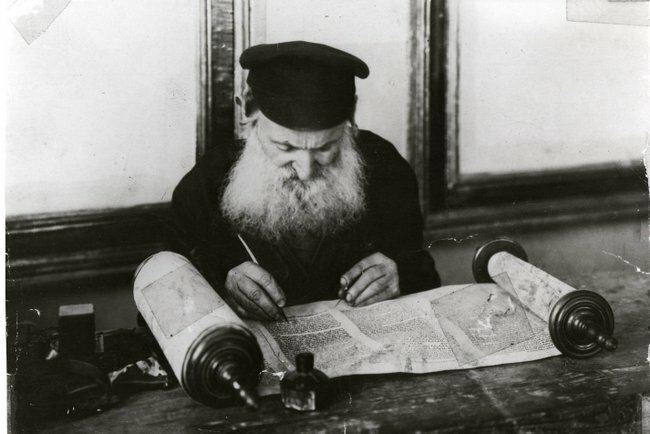 Dovid Elye the sofer (ritual scribe) at work with a quill on a Torah scroll. Annopol-Rachów, 1912. Men, including the Yiddish writer I. J. 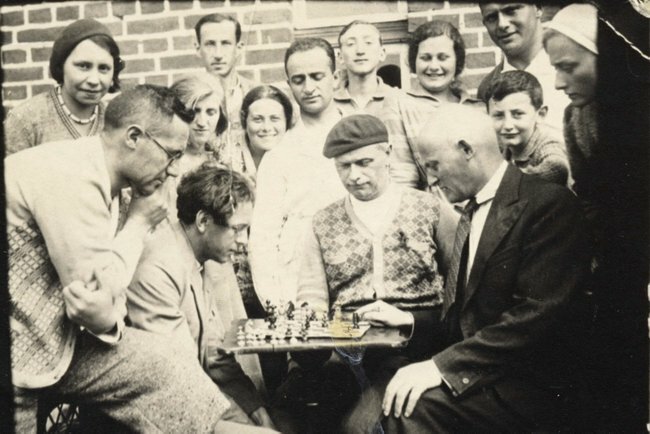 Singer, play chess, while a crowd looks on, at the Kultur-Lige (Culture League) Summer Colony. Karwia, 1928. 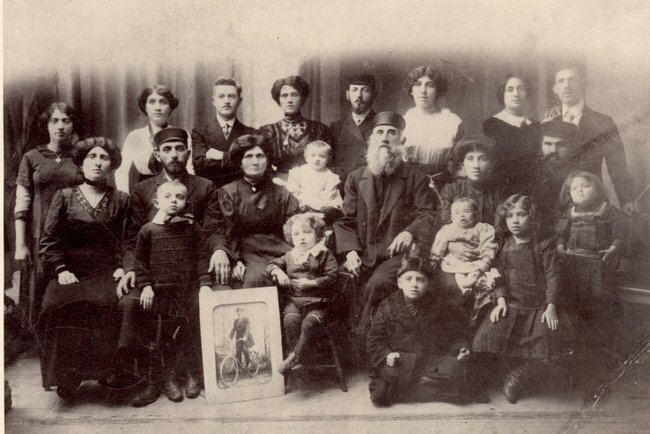 Studio portrait of four generations of a family, posing with a framed portrait of a man on a bicycle. Łódź, 1890s. 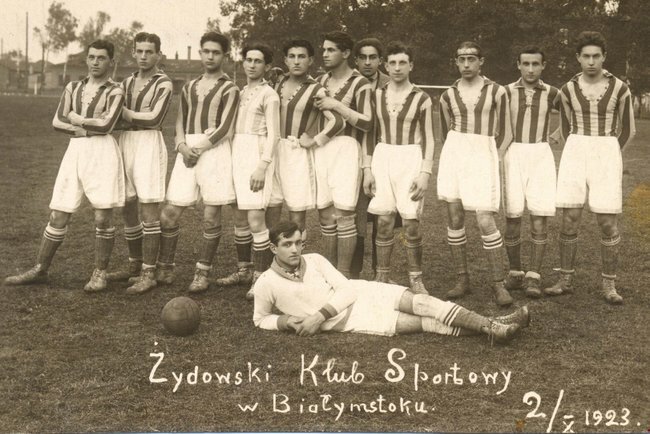 Members of the Bialystok Jewish Sports Club soccer team pose on the field. 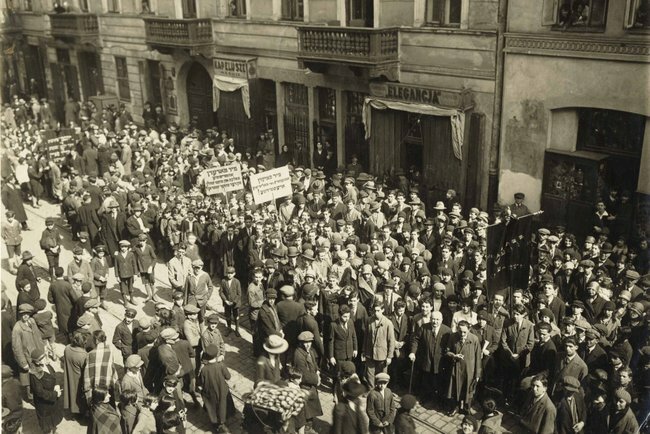 Bialystok, Oct. 1923. 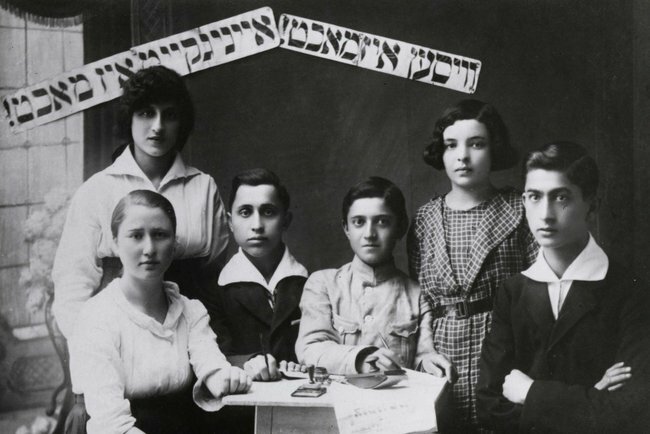 Portrait of young Tsukunft (the youth movement of the Jewish Socialist Bund) activists. The banners read (in Yiddish): "Knowledge Is Power! Unity Is Power!" Miedzyrzec, ca. 1930. Portrait of a couple. Brześć Litewski. Strollers at the corner of Ujaztowskie Avenue and Matejki. Warsaw, late 1930s. 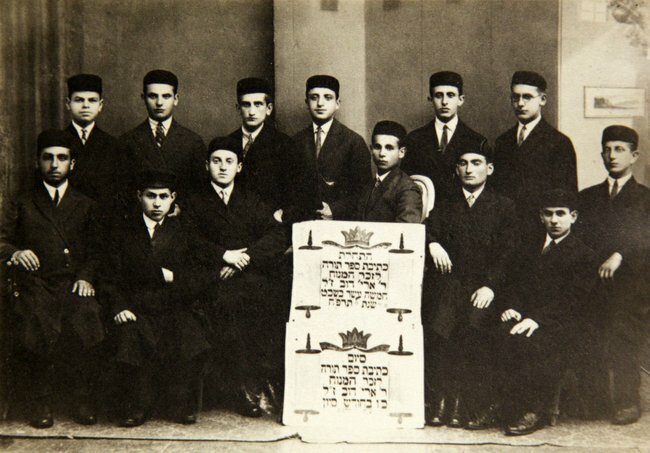 Young men, at the the completion of a new Torah scroll, written in memory of Rabbi Arie Dov.. Ciechanow, 1928. 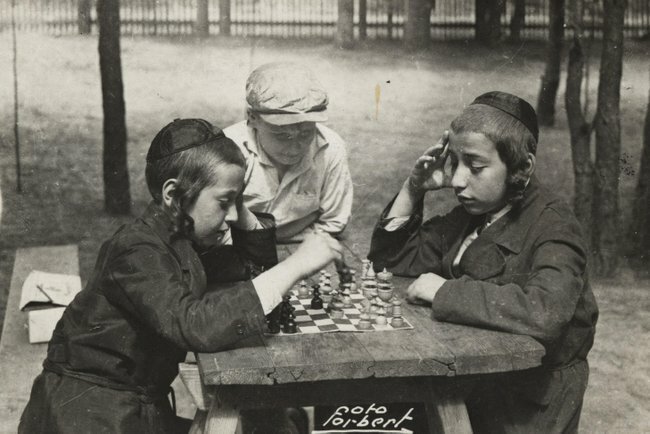 Boys playing chess at the Yehudia summer camp for Orthodox children. Dlugosiodlo, 1920s-30s. 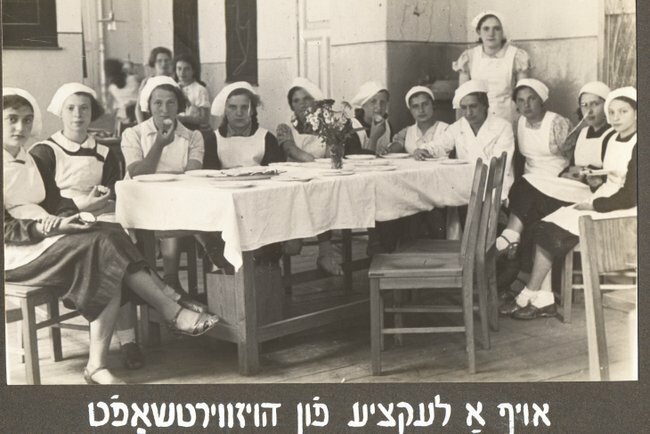 The main hall of the student residence of the School of Nursing, at the Jewish Hospital. Warsaw, 1939. 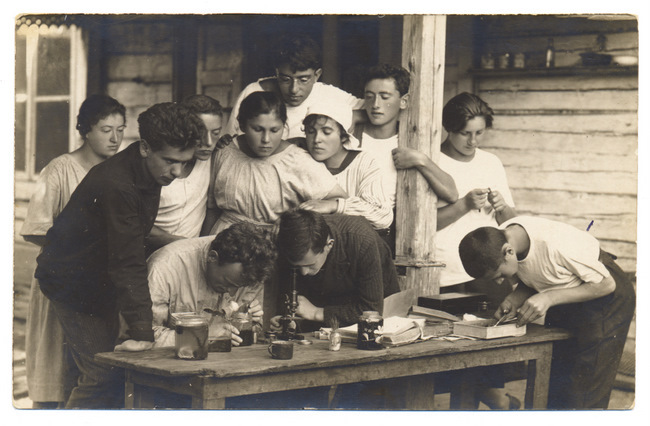 Home Economics lessons at the Trade School of the Jewish Women's Union in Vilna. Vilna, 1936-1937. 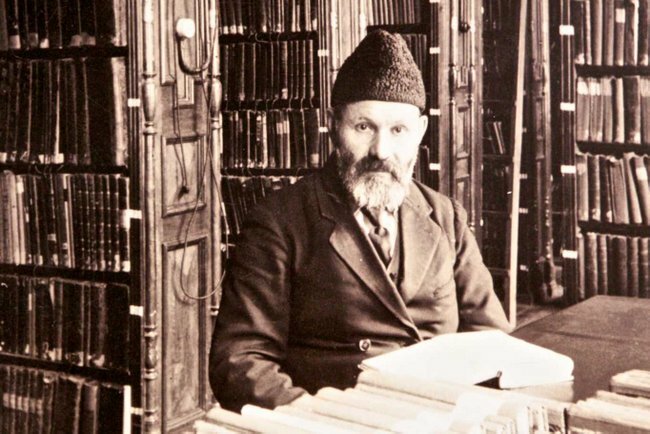 Khaykl Lunski, the librarian of the Strashun Library. Vilna. 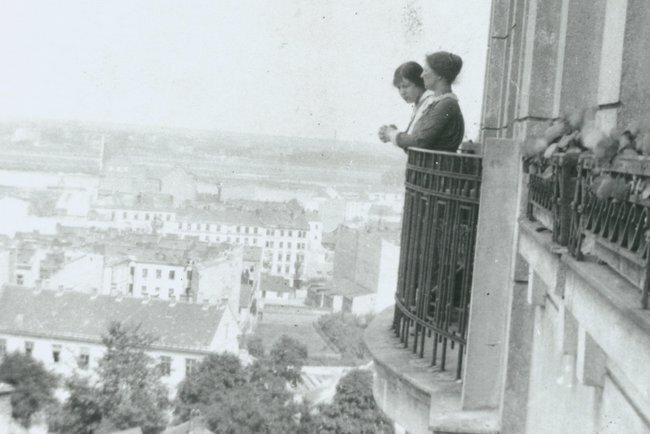 Children's writer and editor Janina Mortkowicz, and her daughter Hanna, a poet and also a writer for children, stand together on a balcony with a spectacular view of Warsaw. 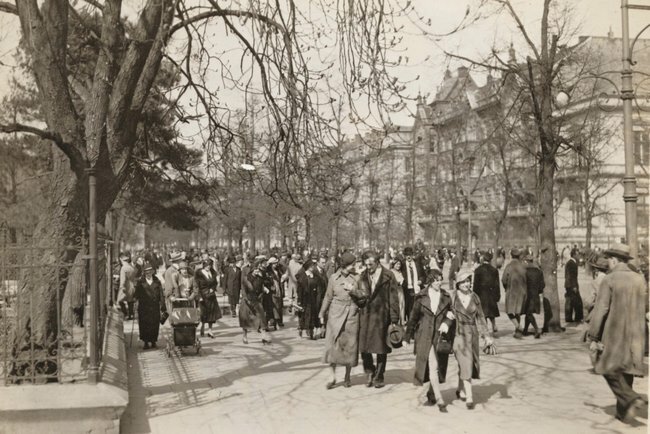 Warsaw, 1928. 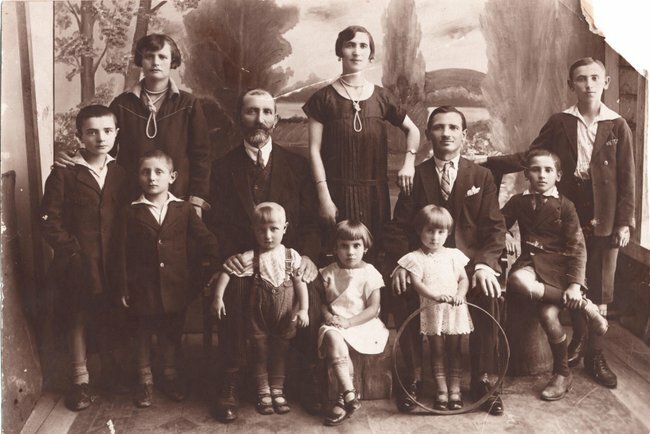 In their quest to find safe haven from persecutions, Jews began to settle in Poland, Lithuania, Bohemia, and parts of Ukraine, and were able to form new communities there during the 12th through 14th centuries. 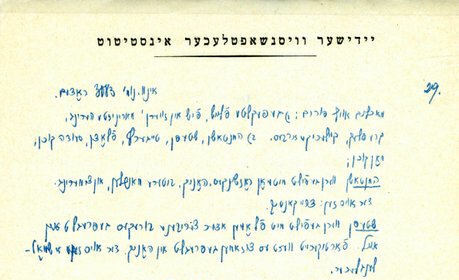 Most of the documents in this website were collected and preserved by the YIVO Institute in Vilna from its founding in 1925 until the outbreak of World War II in September 1939. 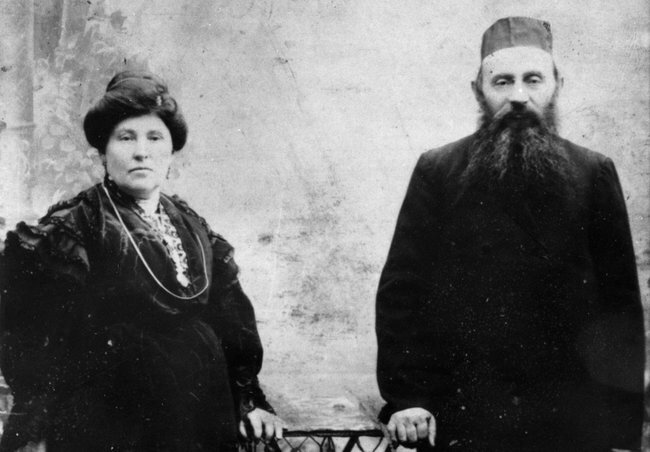 Slide-shows on the life and culture of Polish Jewry, with photographs, posters and documents drawn from the collections featured on this website. Access descriptions and finding aids of archival collections, and selected digital images.